Modem list updated November 2018. Prices updated every hour. Below are all the modems on the Charter Spectrum Approved Modems List and that can be bought at Amazon, Walmart or Best Buy. We've gone through all of them to find the ones that can be purchased at major retailers. If you're paying $7 a month to rent a modem from Charter Spectrum, that's $84 a year or $420 over 5 years. You can buy a new one for less than that. There are used ones that will pay for themselves in less than 3 months. Easy to install. Just hookup modem, open browser window on attached computer and follow the on-screen instructions. All Charter Spectrum Internet Service subscribers, buy any of these DOCSIS 3.0 or DOCSIS 3.1 modems. If you subscribe to plan up to 100 Mbps, choose a modem with 8 downstream channels to maximize your speed. For plans up to 300 Mbps, buy one with at least 16 downstream channels. For higher speed plans, but a modem with 32 downstream channels. If you have telephone service with Charter Spectrum too, these won't work. All of these modems are high quality and have pretty much the same features, except for number of downstream channels and those with routers built in. So don't worry too much about deciding which one to buy. Price should be a main factor in your buying decision. Buy one now and start saving those rental fees! 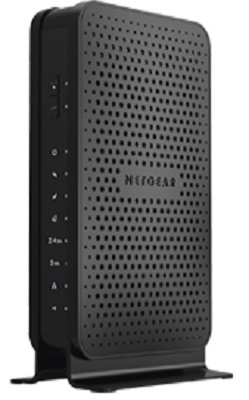 The Netgear CM500 is currently one of the best selling modems and for a good reason. It has 16 downstream channels and 4 upstream, enough for most users. The Motorola MG7540 has a built-in AC-1600 router. Four gigabit ports with 16 downstream channels and 4 upstream. Look also at the MB7550, which has an AC-1900 router. The Netgear C7000 has an AC-1900 WiFi router built-in. It has 24 downstream channels and 8 upstream, plus a USB 2.0 port and 4 gigabit ethernet ports. 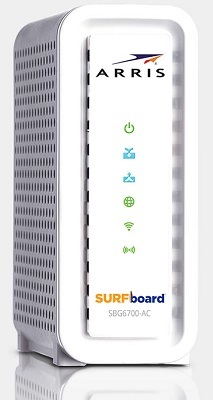 The ARRIS / Motorola SB6183 is one of the latest versions in their Surfboard series. With 16 downstream channels and 4 upstream, it can handle all but the fastest internet plans. As the price of this modem has fallen, it's becoming one of the all-time popular modems. 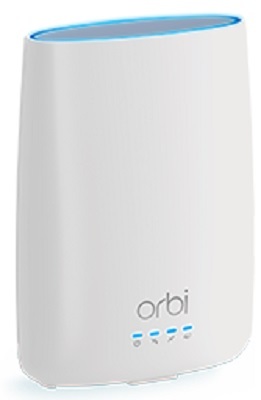 The ARRIS SB6200 is a DOCSIS 3.1 modem for the fastest speeds available. Even if you don't have DOCSIS 3.1 service in your area yet, it will work on DOCSIS 3.0 plans and will really future proof if you get faster service. It has 2 Gigabit ports. For DOCSIS 3.0 plans, it has 32 downstream channels and 8 upstream. 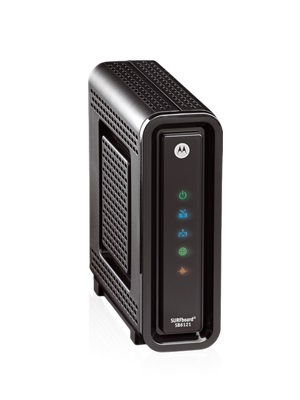 The Motorola MB7420 is another quality modem with 16 downstream channels and 4 upstream. A faster version of this model with 24 downstream channels is the MB7621. 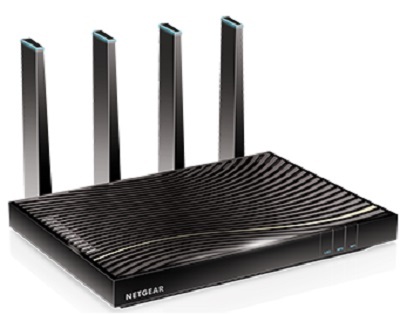 The Netgear N600 has built-in dual band wireless-N600 router. If you have devices with dual band too, you can get exceptional WiFi speed. It also has 2 Gigabit Ethernet ports, a USB 2.0 port and 8 downstream channels, 4 upstream. The ARRIS / Motorola SB6141 has 8 downstream channels and 4 upstream. The newer version of the SB6141 is the SB6183, which has twice the maximum download speed of the SB6141. The Netgear N300 has a built-in wireless-N300 router. It has 2 Gigabit Ethernet ports plus a USB 2.0 port for attaching a network drive. 8 downstream channels and 4 upstream. The CG3000DV2 is basically this modem with a N450 router. The Motorola MG7310 has a built-in N-300 router. Four gigabit ports with 8 downstream channels and 4 upstream. Look also at the MB7315, which has an N-450 router. 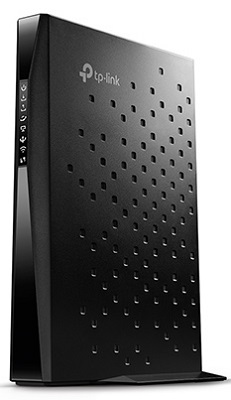 The ARRIS SBG7580 is one of the faster modems with a built-in AC-1750 router and 4 Gigabit ethernet ports. It has 32 downstream channels and 8 upstream. One of the fastest DOCSIS 3.0 modems available. The TP-Link TC-7610 is a fast modem with 8 downstream channels and 4 upstream. Another version of this is the TC-7620, with 16 downstream channels. 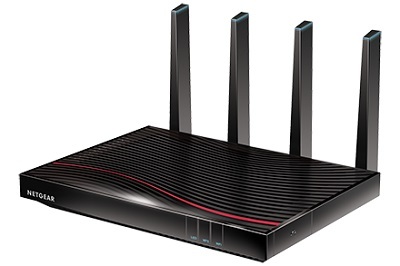 The ASUS CM-32 has an AC-2600 WiFi router built-in and 32 downstream channels, enough speed for almost all internet plans. 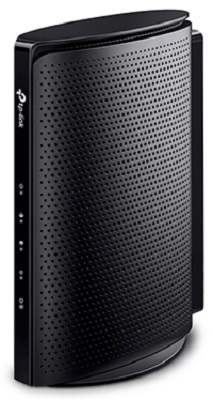 Also has 8 upstream channels, a USB 2.0 port and 4 gigabit ports. 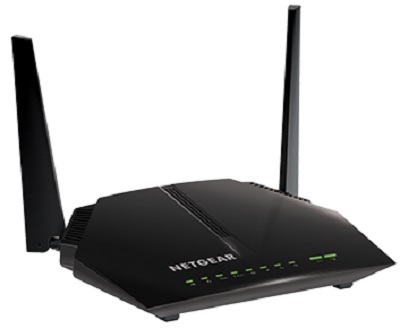 The Netgear C6250 comes with an AC-1600 WiFi router built-in. It has a USB 2.0 port to add a network drive. 16 channels downstream and 4 upstream. 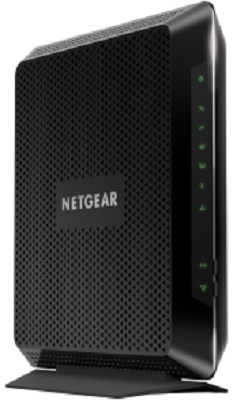 The Netgear C7800 is a DOCSIS 3.1 modem with a built-in AC-3200 WiFi router. It's compatible with DOCSIS 3.0 plans, with 32 downstream channels and 8 upstream. It also has 2 USB 3.0 ports. A super fast modem that will work on all internet plans. The TP-Link TC-W7960 has a built-in N300 WiFi router. Comes with one USB 2.0 port, 4 gigabit ports and has 8 downstream channels and 4 upstream channels. You might want to check out the CR-500, with 16 downstream channels and an AC-1200 router. The TP-Link TC-7620 is a fast modem with 16 downstream channels and 4 upstream. Another version of this is the TC-7650, with 24 downstream channels. The Netgear CM400 has 8 downstream channels and 4 upstream. 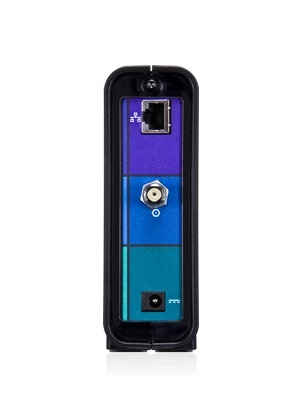 You might want to also check out the cm500,with 16 downstream channels and currently one of the best selling modems. 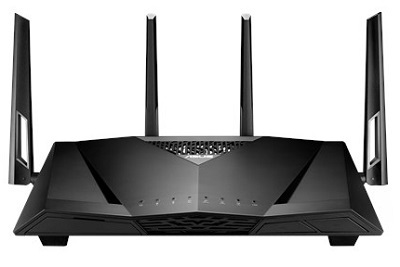 The TP-Link CR700 has a built-in AC-1750 WiFi router. Comes with 2 USB 2.0 ports, 4 gigabit ports and has 16 downstream channels and 4 upstream channels. 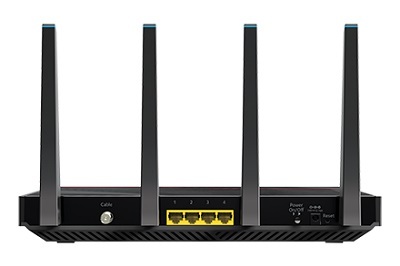 Also take a peek at the CR1900, with 24 downstream channels and an AC-1900 router. 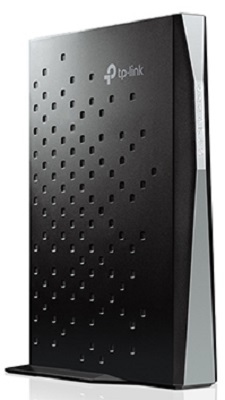 The ARRIS SBG7400 is a very fast modem with an AC-2350 WiFi router built-in. Comes with a USB 2.0 port and 24 downstream channels and 8 upstream. The Motorola MG7550 has a built-in AC-1900 router. Four gigabit ports with 16 downstream channels and 4 upstream. 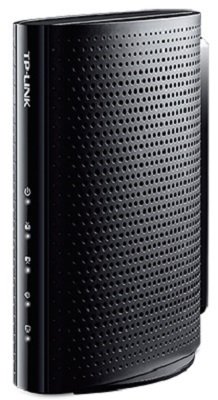 The TP-Link TC-7650 is a fast modem with 24 downstream channels and 8 upstream. Fast enough for all internet plans except gigabit ones. 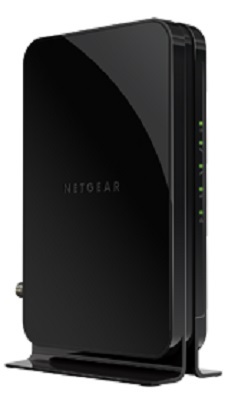 The Netgear C6220 comes with an AC-1200 WiFi router built-in. It has a USB 2.0 port to add a network drive. 8 channels downstream and 4 upstream. Look at the C6250, with 16 downstream channels and an AC-1600 router. 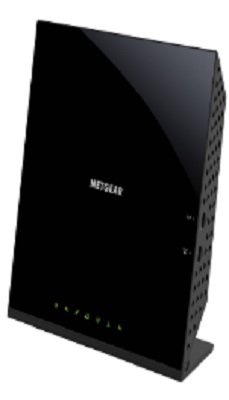 The Netgear CM1000 is a DOCSIS 3.1 modem. Compatiable with DOCSIS 3.0 plans, having 32 downstream channels and 8 upstream. One gigabit port. The LInksys CG7500 has a speedy AC-1900 WiFi router built-in. With 24 downstream channels and 8 upstream, it has plenty of speed for all but the gigabit speed plans. The ARRIS SBG6400 is an updated version of their very popular SBG6580. It has 8 downstream channels and 4 upstream. Comes with a N300 WiFi router built in and a USB 2.0 port to add a network drive. 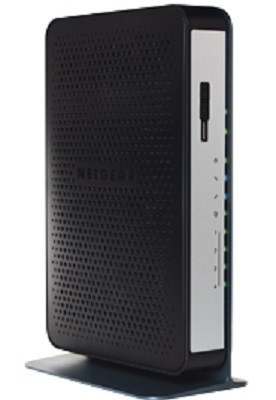 The Netgear N450 has built-in wireless-N router, rated at 450 Mbps, faster than the Netgear C3000 which is rated at 300 Mbps. It has 4 Gigabit Ethernet ports and a USB 2.0 port. 8 downstream channels and 4 upstream. 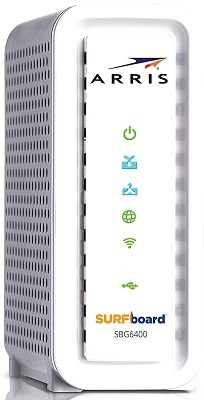 The C3700 is basically this modem with a N600 router, but only 2 Gigabit ports. The TP-Link CR1900 has a built-in AC-1900 WiFi router. Comes with 2 USB 2.0 ports, 4 gigabit ports and has 24 downstream channels and 8 upstream channels. The Motorola MG7315 has a built-in N-450 router. Four gigabit ports with 8 downstream channels and 4 upstream. Look also at the MB7310, which has an N-300 router. 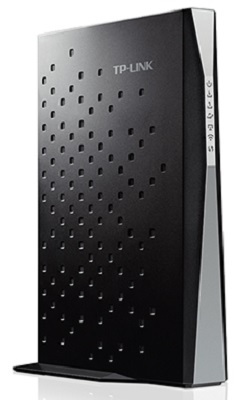 The ARRIS SBG6950 is another fast modem with an AC-1900 WiFi router built-in. Comes with a USB 2.0 port and 16 downstream channels and 4 upstream. You might want to check out the SBG7400 with 24 downstream channels and an AC-2350 router. 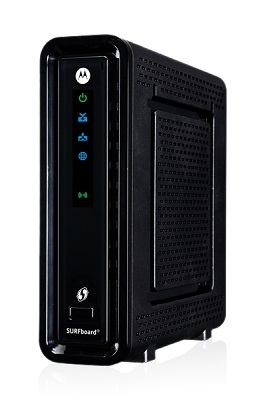 The Motorola MB7621 is a speedy modem with 24 downstream channels and 8 upstream channels. A quality product. 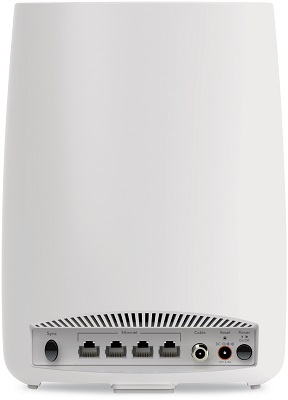 The TP-Link CR500 has a built-in AC-1200 WiFi router. Comes with 2 USB 2.0 ports, 4 gigabit ports and has 16 downstream channels and 4 upstream channels. Also check out the CR700, with 16 downstream channels and an AC-1750 router. The ASUS CM-16 has 16 downstream channels and 4 upstream, with one Gigabit ethernet port. 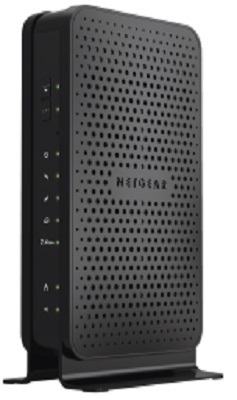 The Netgear C7500 is one of the fastest DOCSIS 3.0 modems available. 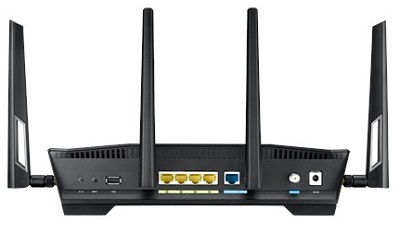 Contains a built-in AC-3200 WiFi router and has 24 downstream channels and 8 upstream. Also includes a USB 2.0 port and 4 gigabit ports. 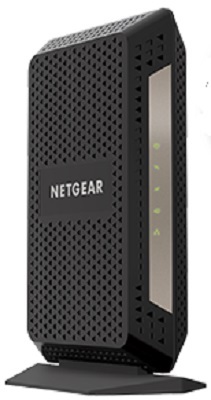 The Netgear CBR-40 is a mesh network AC-2200 WiFi router for whole home coverage. The only one currently available. 24 downstream channels and 8 up for plenty of speed. The ARRIS SBG6900 has a built-in wireless-AC1900 router, for the fast WIFI speeds. It also has 4 Gigabit ethernet ports. This is one of the faster modem/router combos that you can buy. 16 channels downstream, and 4-channel up. It also has a USB 2.0 port, so you can add a USB hard drive or flash drive and share files on the network. 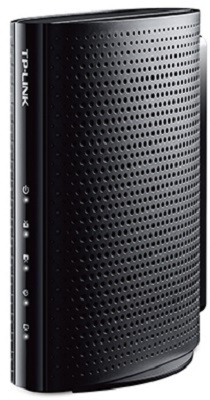 The Motorola MB7220 is another quality modem with 8 downstream channels and 4 upstream. A faster version of this model with 16 downstream channels is the MB7420. 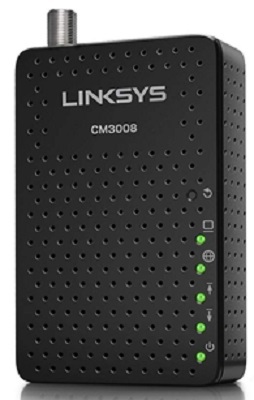 The Linksys CM3008 is a quality basic modem with 8 downstream channels and 4 upstream with one gigabit port. The ARRIS SBG6700 has a built-in wireless-AC1600 router, for fast WIFI speeds. It also has 2 Gigabit Ethernet Ports. 8 downstream channels, and 4-channel up. 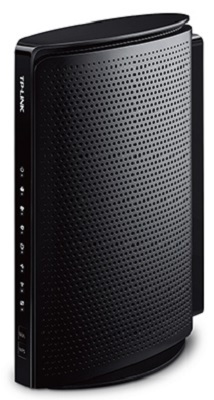 A faster version of this is the SBG6900, with twice the maximum download speed and an AC1900 wireless router. 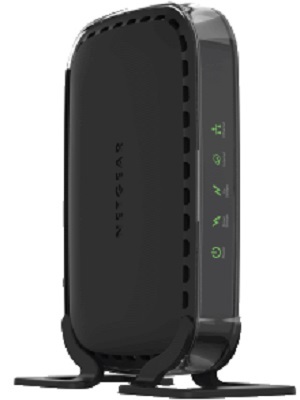 The Netgear CM600 is a DOCSIS 3.0 modem with 24 downstream channels and 8 upstream. It also has one gigabit port. A quality modem with enough speed for almost all internet plans. The ARRIS / Motorola SB6121 has 4 downstream channels and 4 upstream. Even though it will work, most cable companies suggest a minimum of 8 downstream channels. Take a look at the SB6141, which doesn't cost much more, or the SB6183. 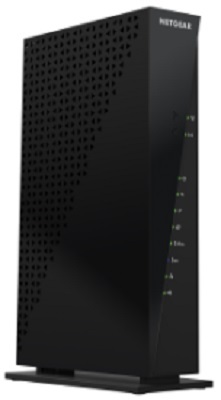 The Zoom 5370 DOCSIS 3.0 cable modem is a basic, quality modem with 16 downstream channels and 4 upstream. 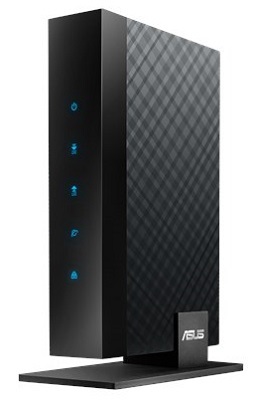 The Zoom 5345 DOCSIS 3.0 cable modem is another basic, quality modem with 8 downstream channels and 4 upstream. The ARRIS / Motorola SBG6580 has a built-in dual band N300 router. It also has 4 Gigabit Ethernet Ports. 8 downstream channels, 4 upstream. The newer version is the SBG6700, which is a litter more, but has an AC-1600 router instead. The SMC Networks D3CM1604 is a DOCSIS 3.0 modem with 16 downstream channels and 4 upstream. Also has one gigabit ethernet port. *Sales Rank is based on analysis of retailer's sales. "You may also choose to buy a modem that has passed minimal testing to confirm that it won't cause harm to our network. Though permitted for use on our network, we recommend against using Minimally Qualified Modems because they haven't been tested to confirm their ability to deliver your purchased internet service speed." "Note: If you attempt to install your own device from our authorized modems list that doesn't meet the speed tier you ordered or if we can't determine the device qualification, you'll get a message that notifies you of this, and you'll be asked to acknowledge this before you proceed." I know nothing about modems. I have Spectrum phone and internet service and an Arris TM502G. If it makes sense I would like to replace it with something that will be approved for Spectrum Phone and Internet. I see their list but I can't tell if they are for BOTH phone and internet. All I see is internet. Can anyone help this novice? Try looking into something like Ooma Telo for your phone service. Much cheaper than Spectrum. Then get a modem only device for your internet. Get any of the approved 16x4 modem only devices. 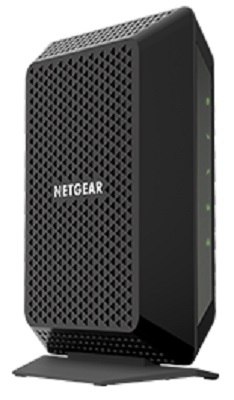 The Netgear CM500 is a great choice. The Motorola and TP Link ones are good too. Cheaper than the Netgear but i'd go with that one. Does anyone know if their are any DOCSIS 3.1 Modems that are approved/ work with Spectrum? Replies would be appreciated. Thank you. I have Spectrum 200Mbps d/l and 10Mbps u/l speeds respectively. Spectrum charges $5 a month to activate the wireless capability of the Ubee36C modem. 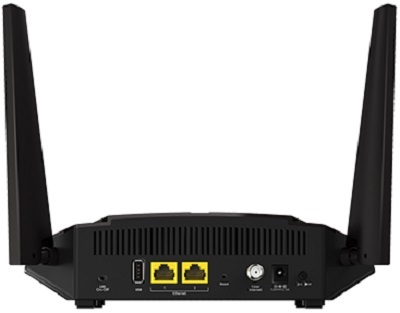 I am currently using a D-Link DIR-815 router but can only support up to 60Mbps on wireless, direct cable to the router I get 220Mbps d/l and 12Mbps u/l. Can anyone recommend a modem/router combo that will work with Spectrum (TWC) service? Thank you. I went to Best Buy last year and was told my Netgear C6300 was compatible with Time Warner Cable. I have the 300mb modem service. Charter took over and 3 weeks ago my service went out for 2 days while they upgraded equipment. Now my service only gets 10mb to 78mb and is spotty at best. I use 5G Wi-Fi in my house for some devices and don't want to give that up. Advice? Do I need a new modem...again? Do not buy any Arris modems as they are severely bugged right now. Intel chipsets are causing modems to perform very poorly and you will be causing yourself a lot of headaches and throwing money down the toilet. I repeat, do not buy any modem that has Intel's Puma chipset. Puma5, Puma6 and Puma7 chips are all affected. You will experience disconnects, bad speeds and huge amounts of network latency (which kills streaming and gaming online). BUY AT YOUR OWN LOSS. Hey Dan, i was thinking of buying the SB6190: since u are saying there is an issue w/ the Arris Modems, which Modems should we be looking into? I have a Arris TM822 Modem, and a NETGEAR Nighthawk X6 R7900 Router. The speed is fine for most of the time. But, when I'm streaming live TV on Apple TV, it looks slow and grainy. I'm wondering if I should update my modem? I think, I've had it for over 5yrs? Any Suggestions? I'd first try plugging your computer directly into the TM822 modem and doing an online speed test. If you get over 5 Mbps download speed, that should be enough for HD video. If you have other devices sharing the internet and watching video, you'll have to multiply that 5 Mbps by the number of devices to see what download speed you'd need. If that checks out, try putting your computer next to the Apple TV and try doing a speed test over Wifi and see if you have enough speed. If not, its a wifi problem and not the modem. I had a Roku box using wifi that had terrible video quality. Moved the box 6 inches from behind the TV and Presto! perfect video. 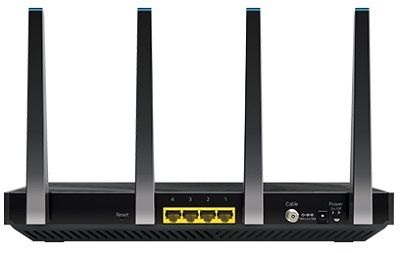 I just bought a Arris SBG6580 combination modem and router, got connections, but security screen appears and once contacted charter they state it does not support the phone only the internet ??? It has the modem inside and recommended on Charters website, I tend to wonder are they telling the truth just do not want you to buy your own, so they loose out on rental as I am paying $10 per month ! I have Spectrum/Charter HD cable service. I need [wireless] WiFi capability. I'd like to purchase a WiFi router/modem [one unit] that is compatible with HD Spectrum/Charter. I'm paying $5/month for wifi router. Could anyone please suggest me which router I can buy from Amazon/Walmart/Bestbuy that is compatible with charter spectrum? Ernie -- is this NETGEAR - Nighthawk Wireless-AC2300 both modem/wifi -- two in one? Does anyone know how many downstream channels Charter offers? I actually get their upgraded Spectrum Internet Service and was wondering about this. I'm not sure where to find this information. I am debating buying the SB6190, but if I can't take advantage of it's expanded channel capability, then I'll save a few bucks and get the SB6183. Joe, it say's on this page that you need 8 channels for more than 64mbps, and 16 for more than 100mbps. It also say's that the phone will not work with modems with 16 channels for some reason. I really don't see why not unless they are just trying to price gouge people, but it's something they should address. I'm not sure if it also apply's to the 8 channel modems as they didn't exactly specify that. I'm currently trying to make the same decision. It appears as though the chipset and these 6190 may have issues with latency though. Actually, Charter no longer charges a separate fee for the modem; it's included in their package pricing. So buying your own modem won't reduce your bill. Not true. I came here looking for a good one for my brother who just signed up with Spectrum. He's getting charged $5 / month for a modem with built in wi-fi capability. Spectrum modem is included; Spectrum modem with built-in Wi-Fi is a $5 per month charge. Two different pieces of equipment. Fact. This is the correct answer. Will the newer model SBG6782-AC work as well? It i really hard to find info on newer modem/router combo's that work with Charter. Thank you so much for the reply. I am moving next week and set up installation with Charter. I will go with the SBG6700AC. If I understand this correctly. If you buy one that is not supported by Charter, it won't work. You need to buy one that is supported by Charter. I've been through several now that haven't worked with Charter, but Charter set up doesn't explicitly state it. In fact, Charter reps have even said "it seems the modem/router is broken and you need a new one". This was the case with Motorola MG7550. I'm still searching for one that is good and works. Do any of these modems have a phone jack on the back?